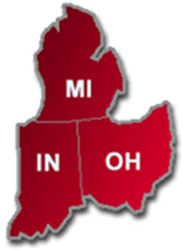 I grew up in the central part of the state of Michigan and traveled often to the Indiana and Ohio area. Due to the fact that my grandmother worked at the county clerks office I was quickly educated into the world of real estate. Through my life I have purchased and sold many types of properties but always enjoyed mobile homes. In all states, mobile homes are treated as a vehicle, which is surprising to some people. They have titles just like your vehicle would and they are bought and sold almost the same way. They can be found in mobile home parks but a surprising statistic is that nearly 70% of all mobile homes sit on private land. If you have a mobile home in Michigan, Indiana or Ohio and it sits on private land you may no longer have the title. A mobile home title will look like a car title and will not just be a piece of paper. If you are missing a title in the state of Michigan and you are looking to move your mobile home I can help. I have ways of helping you get that title back so that you can move your mobile home. 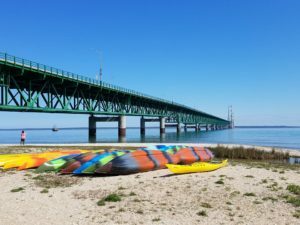 Michigan is one of the few states that tends to make this process easier than other states but you still have to know the ropes to doing it correctly. I have helped hundreds of sellers in the state of Michigan from the cities of Grand Rapids, Saginaw, Bay City, Midland, Canton, Newport, Flint and Romulus just to name a few!! When looking to buy or sell your mobile home in the state of Indiana you will want to watch for taxes and judgments that might be hooked to the title. Again, being located in the Midwest has given me the opportunity to learn many of these problem areas that you can run into when buying or selling a mobile home and I can steer you clear of that. Nothing is greater than driving the state of Indiana the toll roads are amazing and the scenery is gorgeous. I have also helped many sellers in this state of Indiana from cities such as: Fort Wayne, Indianapolis, Angola, South Bend, Mishawaka, Valparaiso, Portage and Garrett just to name a few. When looking to buy or sell your mobile home in Ohio you will want to do your research with the tax offices as well. There are a few things in this state that can be tricky and take some experience to deal with. The buckeye state of Ohio does have some guidelines to stick within but its quite easy once you get the hang of it. 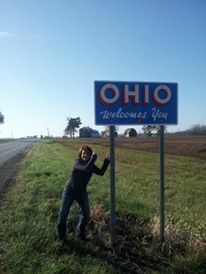 Here is a photo of me, giving a thumbs up to the Ohio sign, after traveling around the great state helping two sellers sell their mobile home. I love traveling Ohio from Akron, Defiance, Columbus, Cleveland, Cincinnati, Toledo and Canton Ohio is a beautiful state to visit. You might be surprised to learn that when it comes to buying a small number of mobile homes and selling them in the state of Michigan, Indiana and Ohio you have to be licensed, insured and follow a set of rules to ensure the process is handled correctly. This stops people from buying and selling these types of homes when they really don’t know the ropes of how to do it correctly and it protects you. When it comes to mobile homes that sit on land in the Midwest region some realtors can list these for you because they won’t require a separate license. If you do have the title to the mobile home it is best to contact a broker / dealer who can help you sell your mobile home. They specialize in this service and can give you the best advice on your mobile home. There are many internet companies popping up all over the place that are not local to Michigan, Indiana and Ohio and they claim they can buy your mobile home without visiting it. When it comes to such a big sale or purchase, I always like to try to meet with my clients. Even though you can send pictures of the home it is always nice to see the inside of the home and look for features and qualities that might help increase the price of the home and get you more money. Plus, I think doing transactions like this in person is better than online. 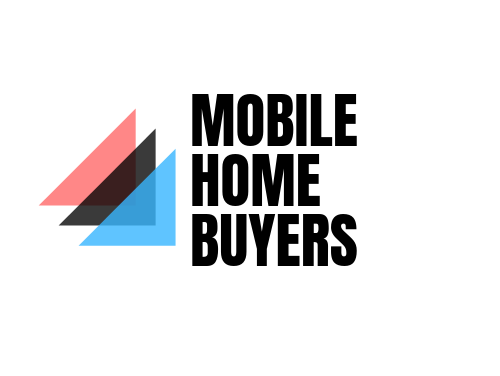 We try to make this process very easy for sellers looking to sell their mobile home. Typically we like to find out basic information on your home, get pictures and then schedule a visit to the home. You might be surprised to learn that nearly 17% of all mobile homes are in the states of Michigan, Indiana and Ohio. This data is located here: state data but states like the Carolinas are where most of these homes reside.